I asked Bryan what he wanted to do for his birthday this year. Without skipping a beat he said, I wish we could go to Epcot, just the two of us. Well, I started planning immediately. Everything fell into place. Bryan was working in Orlando all week, so last Thursday, I dropped the kids off with my parents and hopped on a plane to see my man. My flight was delayed, so I didn’t get to Orlando until after 11. We went straight to the hotel and straight to sleep in order to be rested for our big day at Epcot. We woke up and got ready early and headed out to get coffee then drove to Epcot. We got there just before rope drop, and headed in to meet the characters. We started off with Joy and Sadness from Inside Out, then saw Baymax. Then we went to see the big Mouse, Minnie and Goofy. Then off to breakfast, vegan for my love, while admiring the gorgeous flowers at the flower and garden festival. We rode Soarin’, which is our favorite at Epcot. Then it was time for World Showcase. 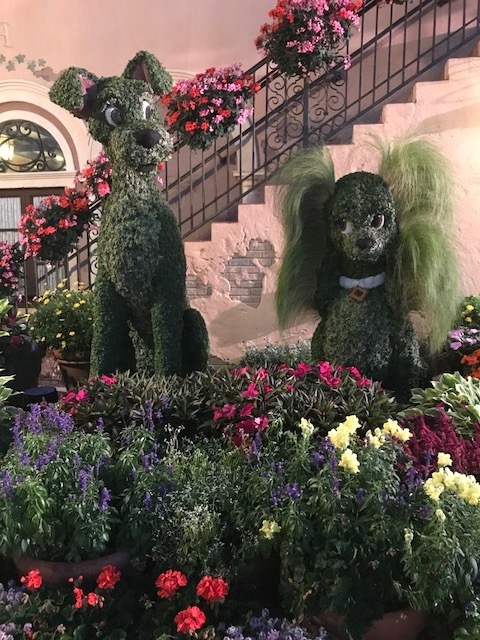 During the Flower and Garden Festival they have gorgeous flower displays everywhere, and little carts with specialty foods and drinks. As if the food at Epcot isn’t good enough! We enjoyed trying some of the different foods, and Bryan tried the specialty beers at each cart. The Pineapple Wheat Ale was my favorite by far! We had a fancy lunch at Le Cellier in Canada for Bryan’s birthday. Bryan had a delicious pasta dish that the chef made especially for him, and I had a filet- because that restaurant is known for it’s steak. It was so good! 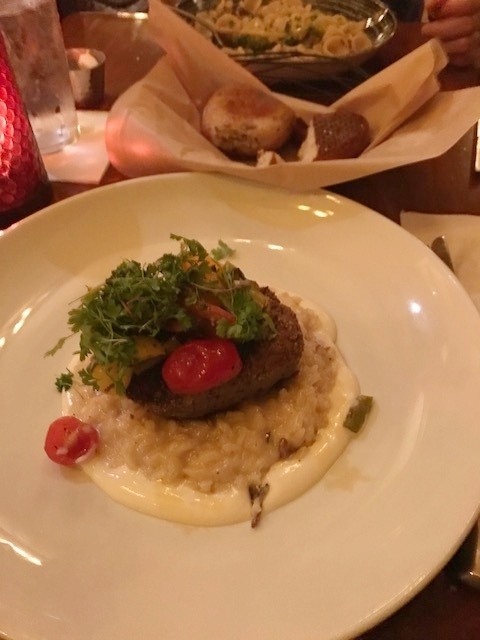 We went back to Epcot and World Showcase around dinner time and stayed until it closed. It was a magical day with my favorite guy!